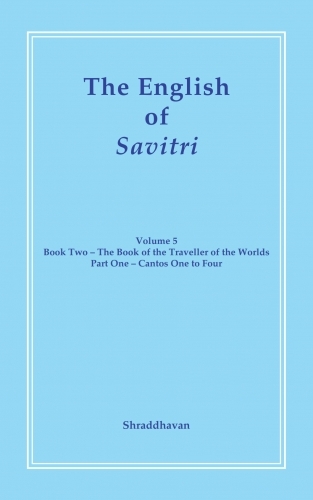 Savitri is a many-layered mantric epic that Sri Aurobindo has gifted to earth and men. 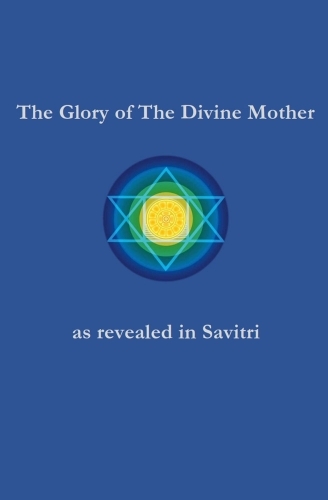 Given the mantric nature of Savitri and the incarnate Divine Mother at the center and core of the yoga of supramental transformation, it is felt that invoking Her Presence with the help of these mantric lines is bound to help the aspiring soul to open more and more to Her who holds the key to change human nature into divine nature. It is with this purpose that these passages have been selected, passages that reveal to us the glory of the Divine Mother and Her vast all-embracing, all-transmuting Love. 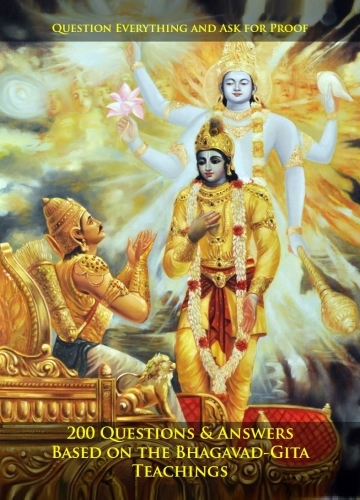 200 Practical Questions on all aspects of Life and their answers in a simple to understand way, based on the teachings of the Bhagavad-Gita. 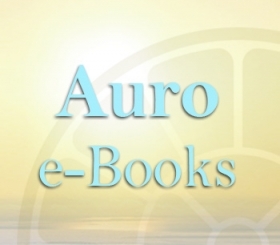 A collection of meditations and mystic poems by Anilbaran Roy. Anilbaran Roy was a professor of philosophy for seven years in Bengal. 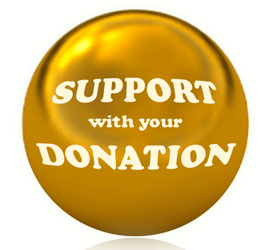 Subsequently he felt a call for national work and actively participated in the Non-cooperation Movement. 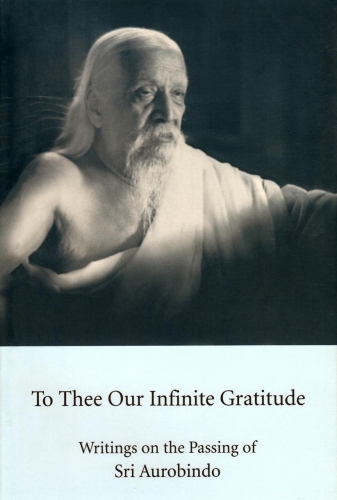 He became profoundly impressed by the teachings of Sri Aurobindo and in June 1926 he joined the Ashram. Anilbaran was a prolific writer and has written books in three languages, English, Bengali and Hindi. Laotzu was more than likely the first scholar to have a vision of spiritual reality, somewhere around the 6th century B.C. At that time, his visions were a source of ridicule, misunderstanding and ostracism. 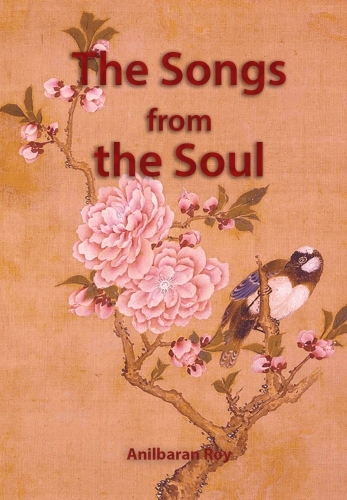 Included in this volume are the explanation of Tao, according to Laotzu; and a study of his Wu Wei. A short history of Laotzu can be found within as well. 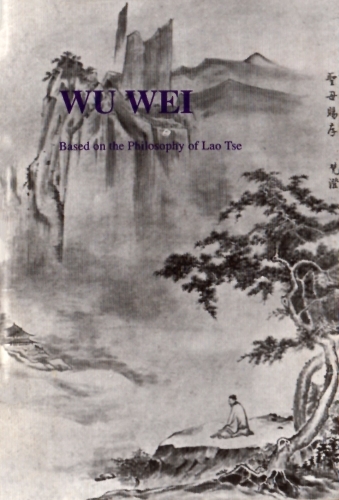 From the autor: The present study on Lao Tse’s ‘Wu Wei’ should not be considered in any way as a translation, even free, of that philosopher’s work. I have simply tried to render the essence of his wisdom in all its purity: I have here and there given a direct translation of the truths enunciated by him, but most of this work is the development, in a form elaborated by me, of some principles to which he confined himself for formulation. Lao Tse’s is a tiny book and extremely simple at that: the author’s thought is condensed in a few words taken in their pure primitive sense, sometimes a very different sense than the one assumed in other works, in the works of Confucius for example, but those few words are the Gospel. Lao Tse’s work is not a philosophical treatise; it simply exposes the truths to which Lao Tse was led by his philosophy: only the quintessence of that philosophy is there, not the development of his system. This small work is wholly penetrated by that essence, but is not a translation of Lao Tse. In his book there is none of the comparisons drawn by me from the landscape, the sea and the clouds; nowhere has he spoken of Art, also he has not specially dealt with Love. In dealing with these subjects, I have expressed the ideas and feelings deducing instinctively from Lao Tse’s profound philosophy, for one who has been long penetrated by it. It may be then that my study contains much more of myself than I imagine, but in that case also, it will be the expression of the thoughts and feelings awakened in me by the words of Lao Tse. 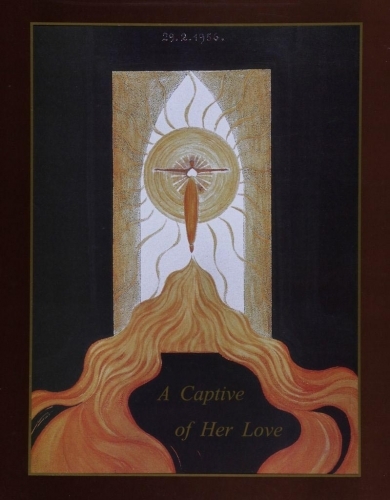 This book is a collection of letters, poems and paintings by Janina Stroka, a Polish disciple of Sri Aurobindo and the Mother and a member of the Sri Aurobindo Ashram in Pondicherry, India, from 1957 until her passing in 1964. It is a truly fascinating book that should interest readers of many backgrounds and persuasions. 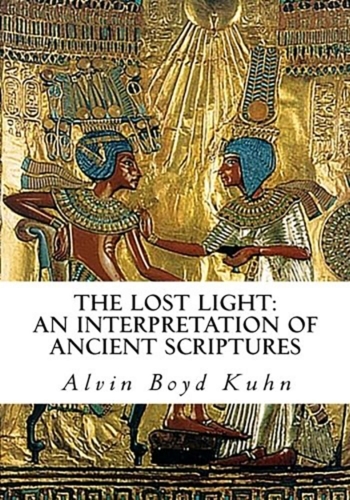 Employing a primarily epistolary mode, through the use of letters, it combines several interesting categories as well: spiritual travelogue, quest narrative, period history and East-West encounter. Above all, it bridges the gap between the falsity of public image vis a vis the reality of our private self. Janina’s account of her life in Pondicherry in this book is divided into three parts. The main part of the text consists of extracts from letters written to a Dutch friend with whom Janina lived first in Palestine and later in Germany, from December 1957 to June 1958. The letters in the next section were written between 1960 and 1963 to a young Bengali, a writer and social worker. Next, the book contains selected poems and paintings by Janina and concludes with a comment by the Mother on Janina’s passing. All of these provide an invaluable glimpse into Janina’s inner life in the Ashram, no less than her observation of the details of the seemingly trivial but no less significant aspects of the day to day life in the Ashram and Pondicherry during the late fifties and early sixties. We find, for instance, a perceptive description of meal-time atmosphere in the Dining Room. Those who habitually crib against the Dining Room food would do well to see Janina’s sense of reverence towards this food (“We always get two bananas and a wonderful yoghurt, just a dream!”). She talks memorably of a number of events and impressions of the supramental force spread over Pondicherry, vis a vis the ubiquitous presence of the town’s dirt, filth and squalour; about “bad people in the Ashram”; regarding the problem with maid-servants, their perpetual intrigues and the need to constantly humour them in order to extract work out of their reluctant selves and so on. She also records her encounters with Pavitrada, Nolinida and Medhananda and the quota of luscious mangoes from Bombay that she receives from X, a friend: “What a pity that I do not have a husband” she observes with self-deprecating humour. Janina reveals in her engrossing accounts that despite their rootedness in reason, science and rationality, (or perhaps because of it!) a dedicated westerner, drawn powerfully to spirituality, is likely to blossom more fully vis a vis his/her eastern counterparts. Her life — full of ordeals, hardships and agony — is testimony to the indomitable human spirit forever in search of the deepest meaning of life. Her narrative offers us a lesson in humility. I learned of the Mother’s passing on the morning of the 18th November, 1973 at Sri Aurobindo Yoga Mandir, Jwalapur (Hardwar), where my normal work lies as given by the Mother in 1958. The impulse that arose within me was to go deep within and be with the Mother to the best of my capacity. I reduced my external preoccupations to the minimum and began to live in that manner and it was profoundly satisfying. 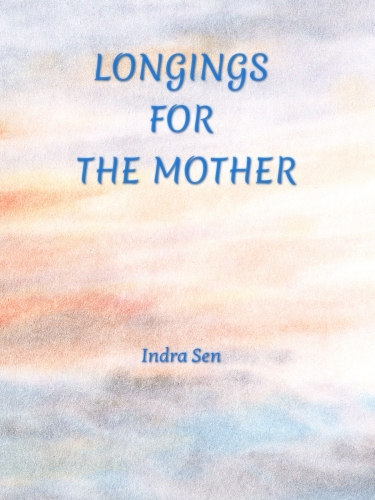 In this experience, there were occasional moments of shock and grief too but, on the whole, there was a feeling of inner assurance and a sense of contact and conversation with the Mother. On the morning of the 27th November, as I sat in this contemplation, a move arose to concretise the inner thought and feeling and I wrote out “Our Mother, who is no more, who is ever more.” Soon all the ten topics ending with “Mother, we read again Your ‘Notes on the Way’” came along. And I read these again and again and enjoyed doing so. I began to do this day after day. I felt that this tended to deepen my inner contact. The next three pieces were written on the following three days, a piece per day. Then I had to go on a short journey and, for about a fortnight, there was no writing. About the middle of December, the writing was resumed and the remaining six pieces were written out. The entire writing was done, on the whole, with ease and simplicity. To me, all this served to clarify and strengthen an inner contact with the Mother. Many friends, who have read these pieces in typescript, have felt deeply moved and found in varying degrees a greater inner contact. 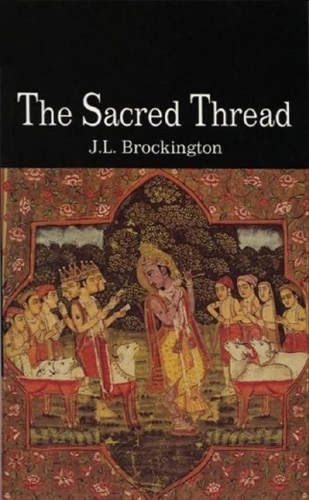 In a single book, which examines the history and development of Hindu religious experience and thought from its earliest records to modern times, it is inevitable that much has been left out in order to make the broad outlines clearer. What has been passed over in silence is just as much part of the rich fabric of Hinduism. For Hinduism has never been a unitary phenomenon. In particular, there has always been a fascinating interplay between its more religious and more speculative elements. As a religion Hinduism tends towards the philosophical in its emphasis on the importance of knowledge, while Hindu philosophy sees that knowledge as having essentially a religious purpose in the achievement of the goal. The history of Hinduism stretches over a vast time-span, during most of which the existing political boundaries of the Indian sub-continent did not exist. Accordingly the term India is used in this book in a geographical sense as referring to the whole sub-continent, except in those parts of the last two chapters where recent political events are referred to. The names of areas are generally those of the modern states of the Indian Republic, which in many cases have reverted to older names (e.g. Tamilnad for Madras State and Karnataka for Mysore). A whip to lash us towards our deathless state.